It must’ve took them ages to make that! Would have taken a lot of time to make this! Very patient person. I’m sure they’d have to superglue all the Legos together after completing it-it’s like putting together a gigantic puzzle! awesome!! really!! how much time did it take??? That’s so cool. It must’ve taken hours for it to look like that. Lot’s of super glue it looks like.My sister says that she wants that in her bedroom it’s so cool. 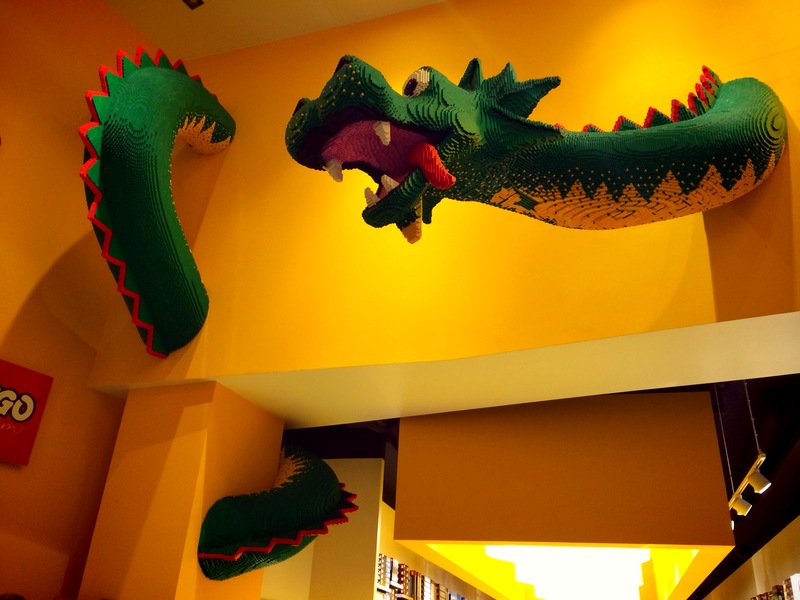 I love Legos and the things you can do with them. I wish I had the patience, space and imagination to do this. …they just keep on getting better! I’m going to show this to my 5 years old nephew…he’ll love it. This is a repost from one of the blogs I’m following. This was in NYC, by the Rockefeller Centre? Or is this someplace else? How were they able to get it to wrap around the walls like that? How is it able to stay intact, both considering that it’s so large & also because it’s wrapped around the walls? I’d think it’d come apart, even if superglue was used, which I don’t know how it wouldn’t have been! Is this in a toy store? (I would assume so). Perhaps this is a demo. HOW DID U DO IT?????? Was this taken in the Watertower in Chicago ?? Reblogueó esto en ojoss's Blog. My boys would love to have this in their playroom! This is a person with a lot of time and patience. I was sent this via email for subscribing to matt.wordpress.com. wow just took the time to see and take in this image. Puts my little lego house to shame. I love Lego art! It reminds me of Downtown Disney in Florida when I first saw anything like this. Reblogged this on It's On The House. It’s very clever & creative, but probably wouldn’t make a really good toy, since it took such a long time to create it, if it’s been superglued together, which it probably was in order to keep it intact. Better as a knick-knack, I think. thank u it is good yes but it wouldn’t be a creative toy! Reblogged this on Unlucky Thoughts. Now that’s an idea… Awesome..
Legos were the best when I was a child; and in my adulthood, I think they still are! Creative toys for creative minds. Do anyone know how to get a picture on here? That is so awesome… Can I visit this? This is just too cool. Any kid or kid at heart would get one of they could.